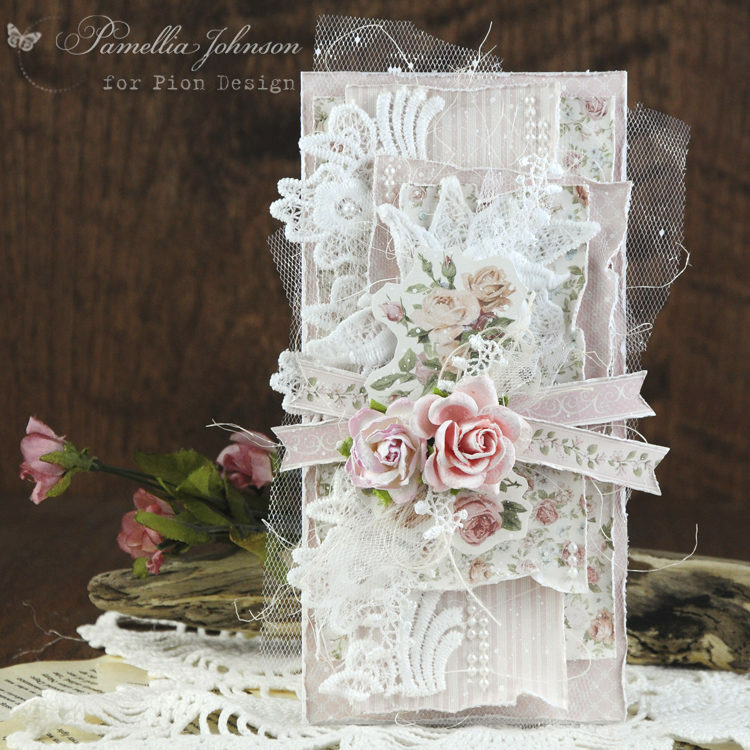 Today I am sharing a soft feminine card that can be used for any occasion. 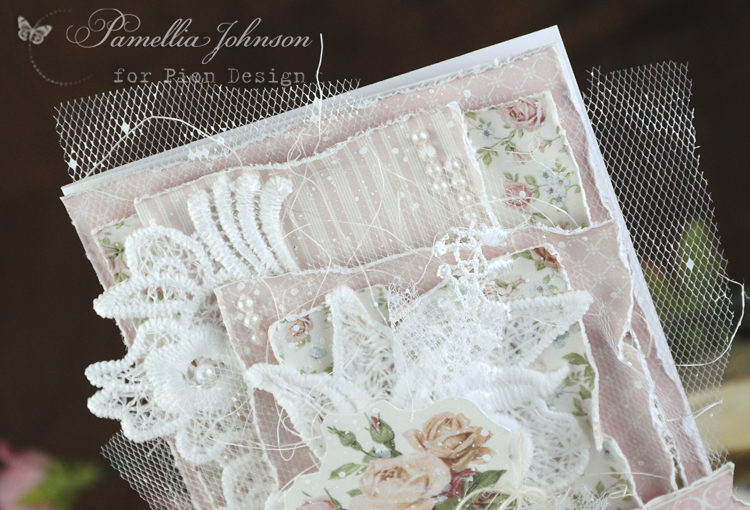 I have used some gorgeous peaches and pink papers from the Pion Design collection “Life is Peachy“. 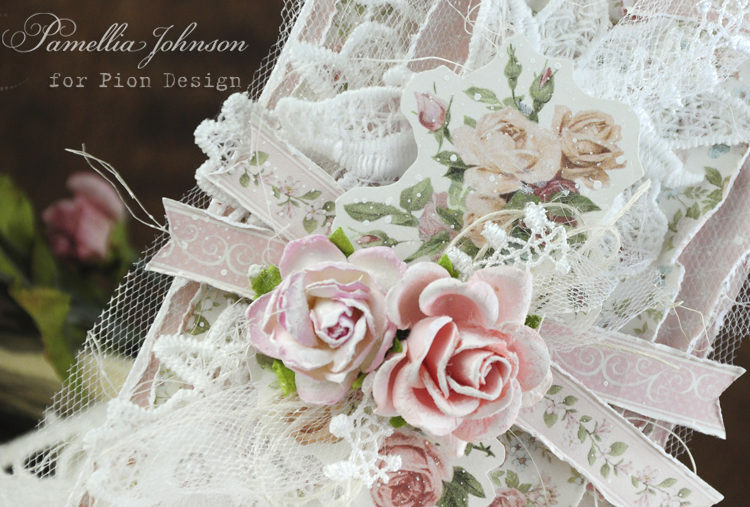 I am just so in love with the stunning rose designs and patterns!